In his Financial Post column, AIMS Fellow Patrick Luciani examines the scientific literature on sugar, suggesting that it may not be the singular culprit for obesity that some fad diet believe it to be. In fact, the greatest single fault for gain in weight appears to be declining smoking rates. Read the full piece on the Financial Post website. The message over the last decade or so is that sugar is highly addictive and pushed by food producers to make us eat as much as possible. Sugar leads to obesity, heart disease, and diabetes. It dries out our skin and makes us look old. It’s poisonous, and food companies are behaving just like the tobacco industry, denying ill effects while driving us all to an early grave. Now we have Gary Fettke, an orthopaedic surgeon in Australia, railing against the sugar found in fruit — fructose — as the cause of all health problems. He says it all started when Adam and Eve picked the first apple. Think of the snake as Big Food. Where did all this come from? My take is that the obesity crisis has spurred pseudo-research in our desperation to figure out why we’ve put on so much weight so quickly. Anyone following the scientific literature quickly finds themselves neck deep in conflicting studies. The problem is that science can’t definitively determine any cause and effect between sugar and disease, only a correlation, leaving the door wide open for junk science to flourish while fast-buck authors peddle scare theories to pick consumers’ pockets. The media promotes these authors with endless headlines such as “Sugar Overload” (Maclean’s) and “How Toxic is Sugar?” (CBC). In the ’90s, experts told us animal and dairy fats were the culprits. Then came the anti-carbohydrate craze. Soon the blame shifted to chemicals in the environment. What you won’t hear is that the decline in smoking is one of the biggest factors driving obesity according to the National Bureau of Economic Research. The latest fad is to avoid all sugar. One book pushing this line of thinking is Fat Chance by Dr. Robert Lustig. He claims “every single disease or condition of metabolic syndrome is driven by fructose.” He wants sugar regulated as a poison. In a recent paper in the journal Obesity, Lustig claims that cutting sugar can dramatically improve metabolic diseases such as high blood pressure and cholesterol in a matter of days. He relies on a study that followed 43 overweight children for nine days, replacing sugar with other carbohydrates. Unsurprisingly, the study got plenty of uncritical play in New York Times and The Guardian. But is it science or conjecture? The study wasn’t randomized, had no control group and all participants self-reported what they ate. In the end, we don’t know whether it was the controlled diet or the reduced sugar that contributed to the impressive results. Still, Dr. Lustig was invited recently to give expert advice to a Senate committee reporting on obesity in Canada. Dr. John Sievenpiper at the University of Toronto, who should have been invited to brief the committee, concluded in a meta-analysis published in the Annals of Internal Medicine that “fructose had no significant effect on body weight or blood pressure as compared to other carbohydrate sources.” According to Sievenpiper and his colleagues, the problem is overconsumption and not sugar toxicity. Responding to Lustig in the journal Nature, Sievenpiper tells us fructose is still good for us. In the minds of many, the real culprit is high-fructose corn syrup, which was introduced as a sweetener in the 1970s. But the American Society for Nutrition reported that there was no strong correlation between obesity and corn syrup. They don’t even use it as a sweetener in the U.K., but Britons’ weights have still gone up. Now consider that a massive study at the University of Washington, reviewing 97 research papers on dietary patterns, concluded that obesity drives sugar consumption — not the other way around. That brings us to the problem of how much sugar is too much. 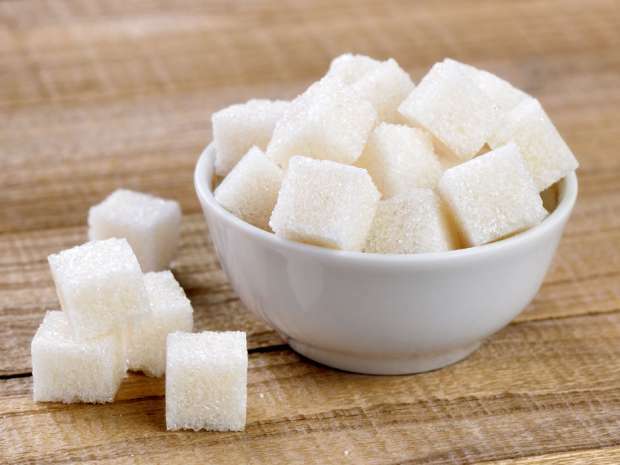 The World Health Organization tells us that added sugars — which doesn’t include sugars from fruits, vegetables and dairy — should be no more than 10 per cent of daily energy intake or about 53 grams. A can of pop has about 40 grams. The U.S. National Academy of Medicine reviewed the evidence and came to the conclusion that added sugars should be no higher than 25 per cent, which is more in line with Canadian dietary guidelines. In Canada — where sugar consumption has fallen over the last 20 years mainly because we’ve been drinking less pop and more water — we consume around 11 per cent on average, and that isn’t bad at all. In fact, sugar consumption has been falling in Australia, the U.K. and the U.S., too. Yet, the overall impression is that sugar consumption is going up, given the rise in weight gain. In Australia, when researchers at the University of Sydney found that sugar consumption was falling despite obesity rates increasing, the paradox so outraged the anti-sugar advocates that they demanded an investigation into the researchers’ data. An independent review upheld the veracity of the study. So, why all the scare stories about sugar? One explanation is the bias in research studies, discovered by American professors David Allison and Mark Cope: poorly done or smaller research projects found more negative effects of sugar than did larger, more sophisticated research projects. And it’s the smaller more dramatic papers that get all the headlines. If you’re looking for guidance from anti-sugar experts, don’t bother. For most of us without genetic or chronic obesity problems, we know what to do if we want to control our weight and get healthy: cut back on all food (yes, including sugar). And for heaven’s sake stop reading news stories about sugar — or any pop science about health or illness, for that matter. You’ll live longer that way.